Winter Blues: How Do I Help my Mom or Dad, who have Dementia, Stay Active & Engaged During the Winter Season? Like all seasons, winter has its fun side and not-so-fun side. It’s the season of holiday festivities and beautiful snow-covered landscapes. But if it’s too cold outside, we’d rather stay home, and that means spending more time feeling restless and bored. 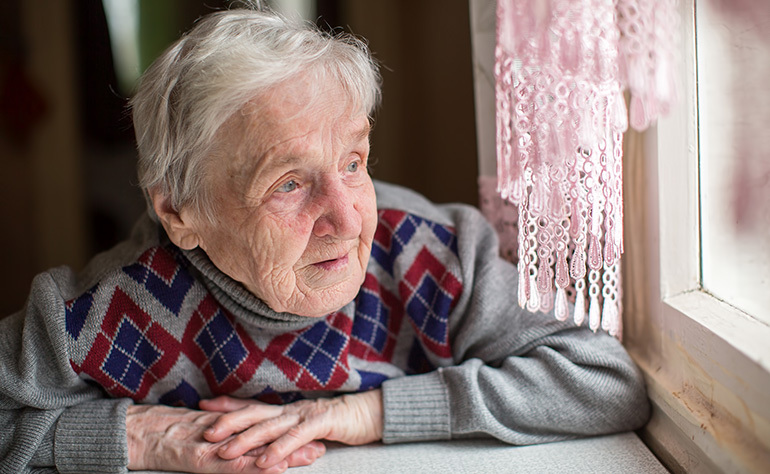 For those with dementia, the isolating effects of wintry weather can be a particular challenge. To help your aging parents combat the winter blues, search for new ways to keep them active and engaged during the winter months. Start by looking into recreation programs at your local community centre. Some programs may even be offered for free or at very low rates. Exercise routines such as ‘chair Tai Chi’ or ‘chair yoga’ can be a great way for your mom or dad to stay active. If he or she prefers exercising from the comfort of home, online fitness videos may also be useful. To get out of the house without having to brave the cold, try taking them for a drive every now and then. Other activities you can do together such as playing cards or completing a puzzle will have the added benefit of providing them with opportunities for conversation. Brain games, such as Qwirkle, which enhance cognitive stimulation can liven up the day, and even a simple activity of sorting random items such as buttons or silverware into containers can be a good way to pass the time. Remember also that just because it’s winter, it doesn’t mean you can’t exercise your green thumb, so try engaging your mum or dad in some indoor gardening if you can. If they enjoy reminiscing, you can also try creating ‘Memory Boxes’ with them. In each box, place items that belong to a particular theme based on their interests or past memories. For example, a box based on a gardening theme could contain some greenery, seeds or a pair of gardening gloves. With these new ideas in hand, we hope both you and your aging parents have an enjoyable winter season! DISCLAIMER:The contents of this column are provided for information purposes only. They are not intended to replace clinical diagnosis or medical advice from a health professional. For any health related issue, always seek medical advice first from a trained medical professional.